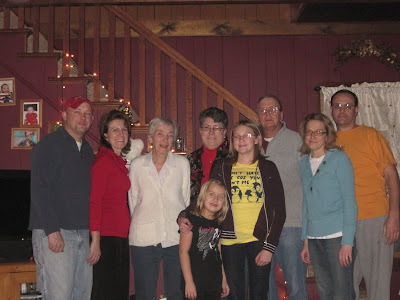 So this is the Strobel Family the day after Christmas. We all gathered for the evening for our Christmas. We did the snackies and played Nascar Monopoly and did some fun gifts. I got the Lands End small bag embroidered to match my larger one. its similar to this http://www.landsend.com/pp/OpenTopLongHandleCanvasTotes~176375_1342.html?bcc=y&action=order_more&sku_0=::AEW&CM_MERCH=SRCH_00001&origin=search I have the large with the zip and now the smaller book bag type. They are great bags and hold up so well. Guess the book bag will come in handy with my class starting so soon. 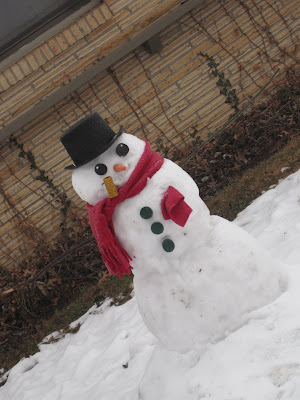 The snowman is a creation of Carlee and Rene and Carlee photographed it I thought it was a great picture I think. So today I am starting to figurre out how to keep this house organized I am looking at www.motivatedmoms.com let me know what you use and think.